Providing you the best range of bun processing line, filled biscuit production line, onion cutting and peeling machine, electrical tunnel oven, oil spraying machine and central filled soft candy toffee production line with effective & timely delivery. 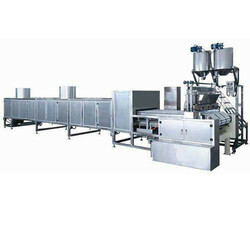 Filled Biscuit Production Line can be used for chocolate, egg yolk, bread, cake, pie, note core puffs and other kinds of core food Core injection rate adjustable from 5 grams to 20 grams, core injection head can be made according to customer's actual needs. For different food with different core head, will achieve better core injection effect. Unripe biscuit is processed with long time baking system under lower temperature after it enters into infrared ray baking furnace transmitted by belt in order to make biscuit ripe. 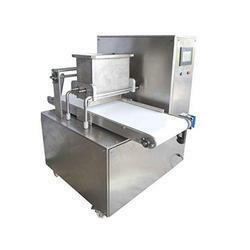 PVG-300 central-filling soft-milk candy producing line is used to manufacture soft-milk candy, central-filling soft milk candy, toffee candy. It was introduced and developed according to the demands of the customer that are tasty, functional, colorful, nutritional, etc, This soft-milk production line can reach the advanced technology in appearance and performance all over the world. 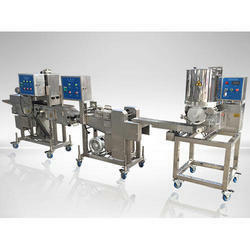 This Cookie Making Machine is designed to produce a wide range of biscuit in various shapes and sizes. 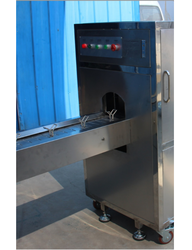 Offered machine is tested by our experts in order to assure its flawlessness. PLC Cookie Machine is the new kind of cookie shapes forming machine, which are automatically controlled. You can set the cookie forming ways (depending or wire cutting), working speed, space between cookies, etc by touch screen. We have dozens of nozzle type for choice, or we can customize the special nozzles as per requirements. 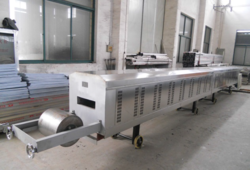 This machine used SERVO motor, for baking, you can use rotary oven, deck oven or tunnel oven. It is the new equipment in the market. 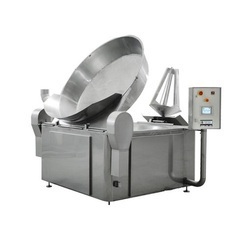 Circular batch fryer made of Stainless steel. Double Color Cookie Biscuit Machine is the most advanced pastry depositor it can produce one kind of delicious and interesting food. 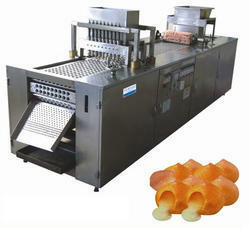 This depositor can make two colors pastry it can also make two fillings. 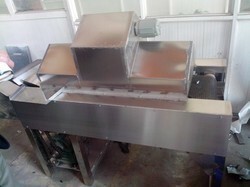 The machine structure solves the problem of the monotony of the traditional food. 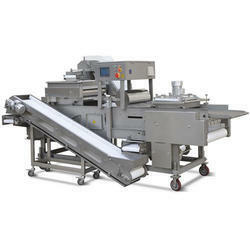 This depositor can make different type of pastry whose procedure is from extruding to squeeze different types of pastry. 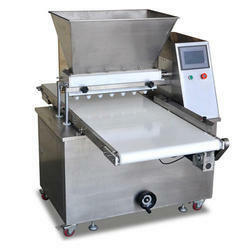 This depositor can produce several of delicious pastry with a lot of fun. This machine has many kinds of molds, can produce dozens of cookie shapes, such as flower shape cookies, sesame cookies, sunflower seeds cookies, etc. clients can adjust the machine according to their needs. The formed cookies, with different shapes, clear pattern, beautiful surface. 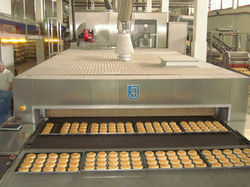 The formed cookies can be baked in the rotary oven or in the tunnel oven. 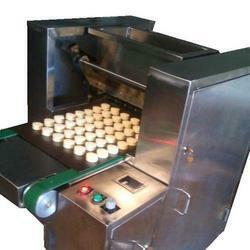 This machine used for manufacturing biscuits. 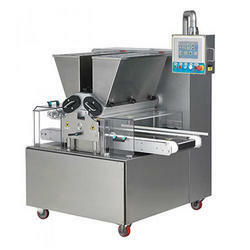 This machine provides very well the quality of the product. After putting mixing the flour powder into the machine, they are one time shaped into unripe biscuitall kinds of middle and high grade biscuit and thin biscuit through three stages roller and role cutting molds. 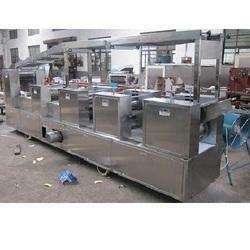 Bread Cromb Process Line mainly used for Fried Beefsteak and chicken as frying dressing. This line is specially designed and developed to operate from the material to final shaping automatically with less manpower, without waste, lower production cost, and higher production efficiency.